My GF completed her first autocross yesterday. She did very well. Her first time was a 133 seconds and finished the day with 6 runs and the last three times were in the 93-94 second range. A huge improvement! We were driving at an abandoned airport (Fort Devens MA). The club posted pictures on the website and we are in several. Sorry, I wasn't able to embed them. I tried. That's me in the red jacket, GF in Red Sox hoodie. Our next auto-x is June 4th. She's looking forward to it. NICE!!! I'm glad she had fun and everything went well. I'd bet the autox hook is in! It was rainy and busy; none of the weekend included a thought about the Porsche, except when I moved it to let someone borrow my rototiller. Prom photos for friends' daughter, and a model shoot for a plus size girl. 5. Worked on fixing the leak into my luggage compartment - removed old seal, worked for hours on cleaning away old glue, put in new seal and made adjustments to the bonnet hinges to ensure a good fit. (still need to check on the result). Two days on the track in the new C4 widebody. 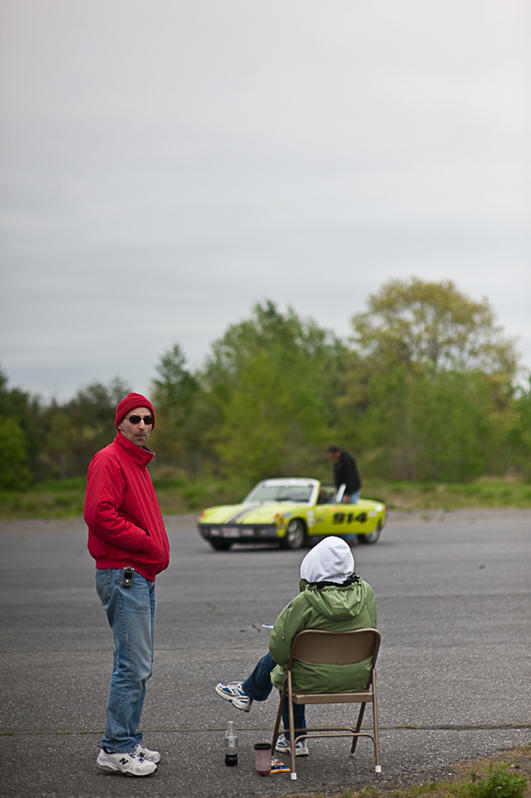 Thanks for the autocross pics -- including the 904! Darrell, did you take the WB thinking others wouldn't be able to pass you? Yes Rob, great pictures.... Almost makes me wish I got a coupe instead of a cab..... almost. Great pics thanks for sharing looks like a fun time! Can't wait to have my car together so I can give Auto-X a try.. I bush hogged my property and sat inside most of the day Sunday since it was 96 degree out and no breeze. Monday...lets see...still Porscheless after 3 weeks in the shop for a rebuild. Called today & the fellas at Performance Auto have the motor out & all parts are in & machined. Damn, seen more P cars on the road with the nice weather or maybe I just notice them more now....since I'm stuck in this Toyota. Kind of like having a car on order....the wait is killin' me. Alan, I feel your pain. The weather has been ok on a few days that I'd have loved to take the car out. I got my bolts last night. Now I just need a few hrs to put it all back together!